One of the many things I love about being a ski instructor is having the chance to be in the mountains and being able to ski as much as possible each winter. 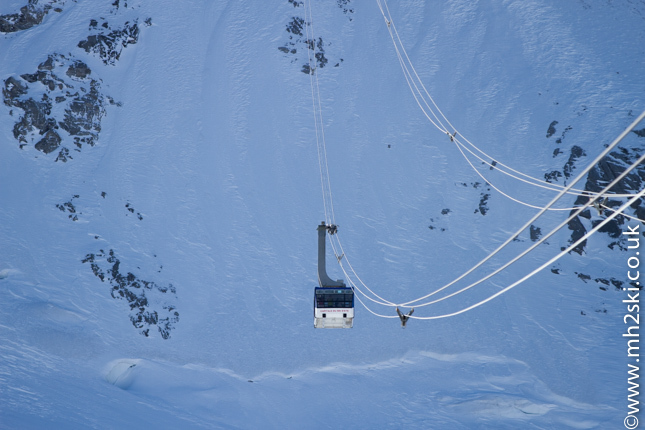 So much so that I find it hard to wait for Meribel open its lifts, which means going to higher ski resorts with good early season snow conditions. I've managed a couple of days in Val Thorens already, and also a fair chunk of time over in Tignes in the Espace Killy ski area. 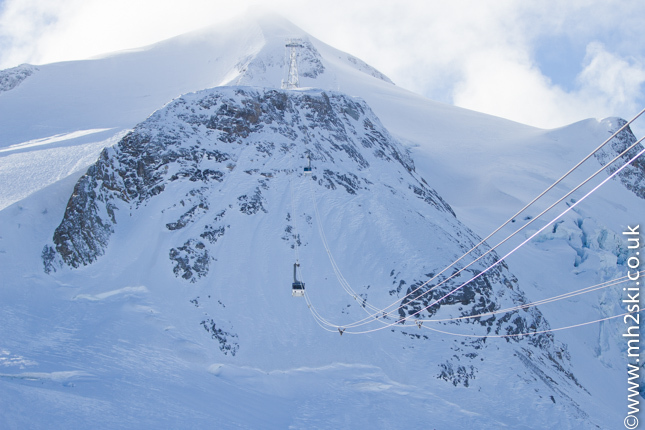 So who fancies a no frills, open and honest feedback on the early season snow conditions? 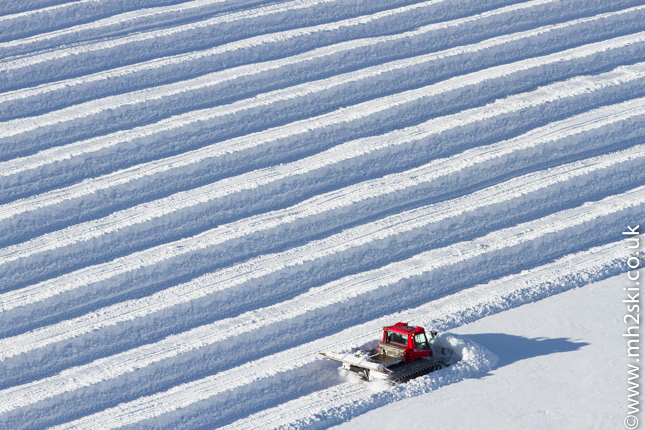 There is no denying that we have had better snow conditions in recent years compared to this year. That is not to say it hasn't snowed over the last few weeks, it has a little. But the dominating factor has been the temperature. Just like the most of this year already, it has been quite mild. So what natural snow we have had, has melted at the lower altitudes especially on the non north-facing slopes. Even at night time. It has felt very mild for this time of year. However at higher altitudes, and in particular in Tignes, the snow conditions are actually quite good. 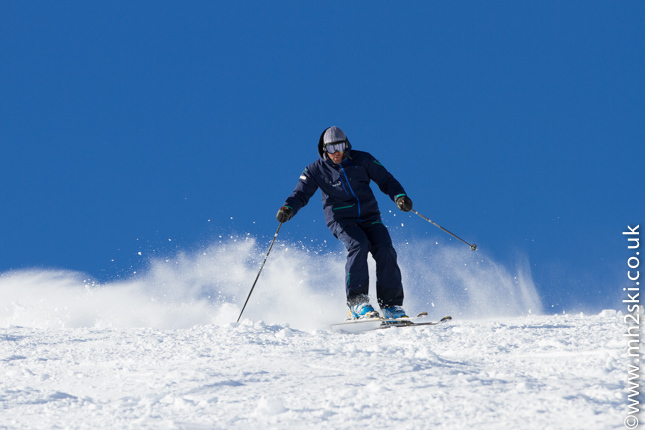 The glacier is holding its snow very well, and you can even ski all the way down to the village of Val Claret. Up on the glacier there are all the pistes and lifts open, with some gorgeous snow. Regular readers of this blog may be familiar with my friend Slippers (Tim) Jackson from Morzine. He is also a ski instructor, and someone who I love skiing with at the beginning of each winter. 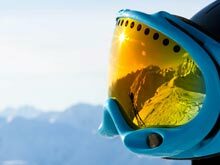 We talk about ski technique and ski tactics until we are blue in the face. It really helps kick start our ski season in preparation for when the Morzine and Meribel ski areas open, more on that later. Oh, and of course my mate called Canon sometimes comes along to watch the skiing as well. 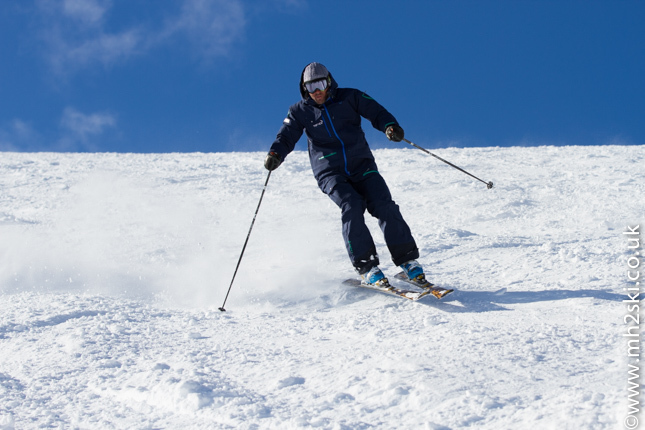 Here is Tim putting down some short turns at the side of the Leisse piste. See what I mean by the snow, there is some lovely soft snow to be found on the mountain. These photos were taken mid-week this week. Since then the temperatures have dropped significantly which is great news. Granted, when skiing at higher altitudes, that means extra layers needing to be worn to stay warm. However, this also means that snow cannons are starting to be turned back on again. This time of the winter is very important for the ski resorts to put down some artificial snow to enable a base to be formed on the pistes. This hasn't been possible the last couple of weeks during the mild period, however the cold weather looks as though it is here to stay for quite some time now. 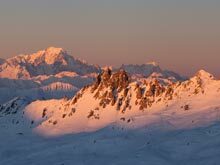 Again this is great news for ski resorts, like Meribel, who have fantastic snow making capabilities. In the meantime it is amazing easing back into life in the mountains, ie waking up each morning, looking out of the window at the views and seeing what the weather is up to. 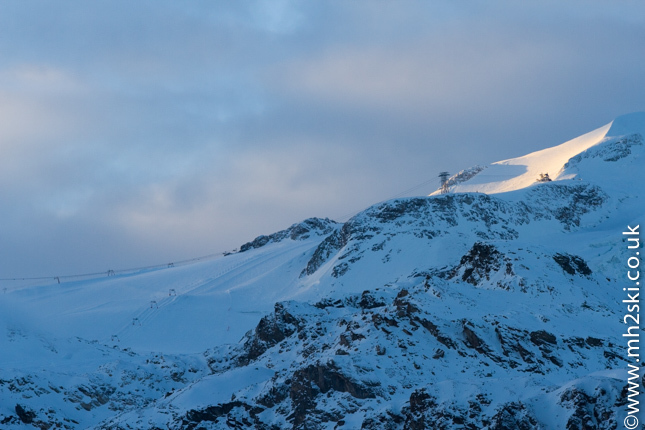 The above photo was taken at breakfast time a couple of days ago looking up to the Grande Motte in the early morning light. Just glorious. 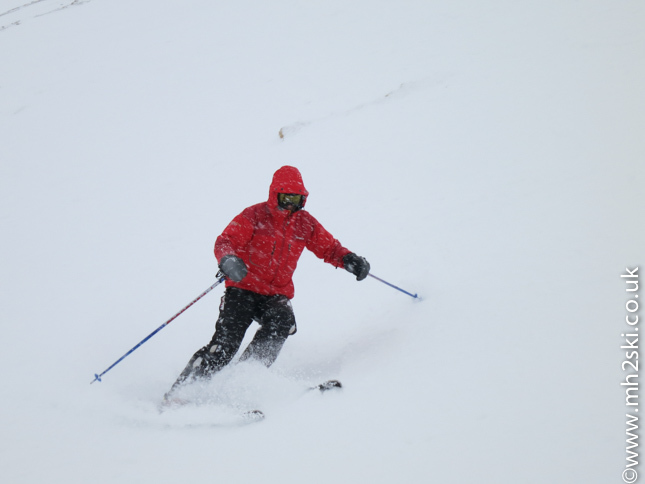 Sometimes at higher altitudes, when the bad weather comes in, it is quite a reminder how tough it can be skiing in the winter, but also how much fun it can be as well. In summary, yes it is a slow start so far this winter, however it shouldn't take long for the snow making process to take effect and help us along the way now we have the colder temperatures. By the way, the opening photo of this blog post was taken a couple of days ago up on the Grande Motte glacier to the side of the Rosolin piste, quite impressive isn't it? 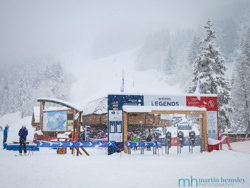 The Meribel ski area was scheduled to open this weekend, and I believe this has been delayed by a week until next weekend. I personally don't believe this is anything to panic about, this isn't unusual and has happened before, and let's not forget it is still only the first week in December. If you enjoyed this blog post you might like another written during last winter titled 'Cosmopolitan Festivities', click here for the link. Feel free to share away on Facebook, Twitter and Google+ using the social media icons. Or leave a comment below. Right, I'd better dash and find my full winter cold weather gear, and super cold ski wax. Martin.